America’s team has America’s most expensive and impressive playplace. 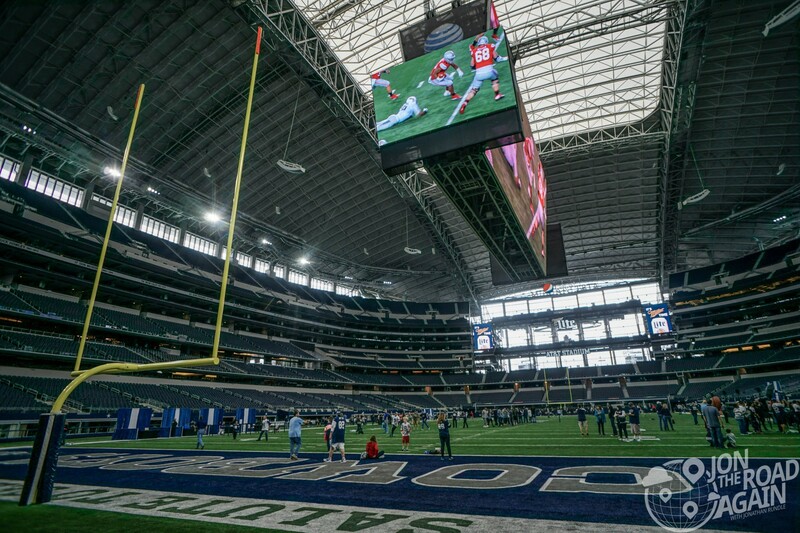 Let’s visit AT&T Stadium – the house Jerry Jones built. AT&T Stadium has a reputation of being one of the finest places to watch a sporting event in the world and I believe it now that I’ve seen it with my own eyes. 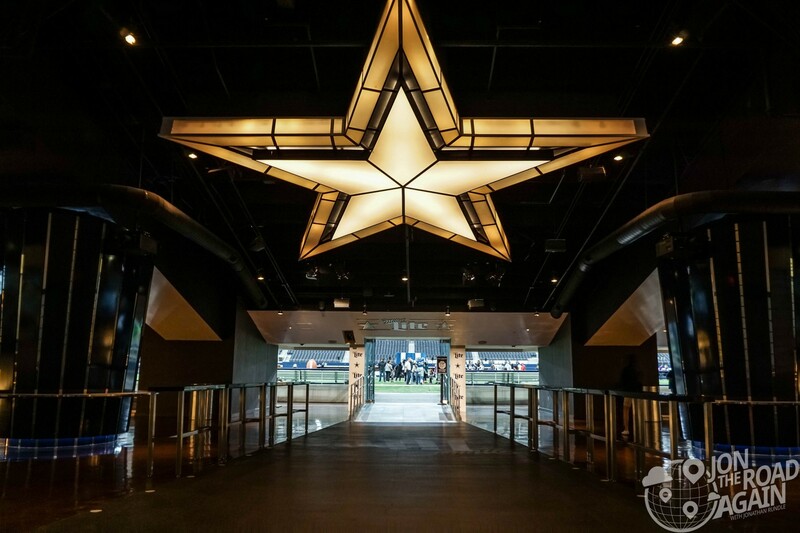 Not only is the building and it’s amenities a marvel, but they show some real southern hospitality by swinging the doors open for fans to tour the stadium. Sure, most sporting venues allow fans to come and take a tour – but they’re usually very muted. I’ve toured many stadiums and every time we’re stuck to a schedule, with a guide and only allowed limited access. 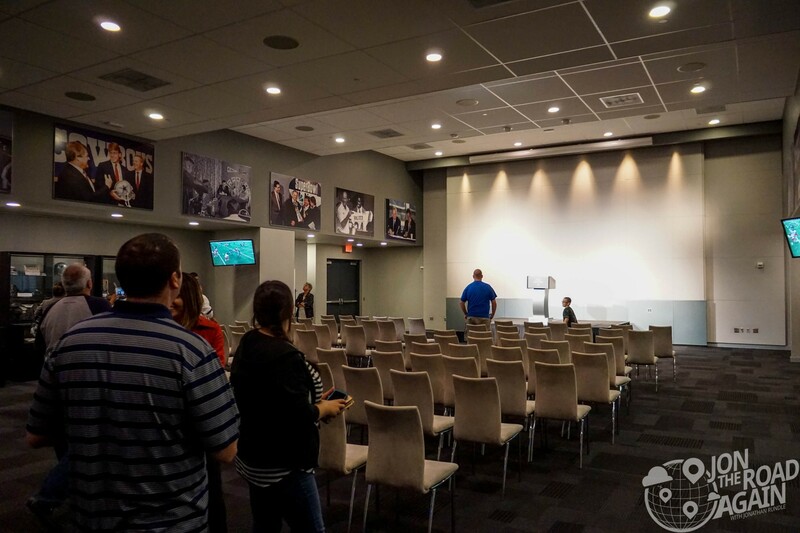 Not so here – pay your fee for a basic tour (or plan ahead and schedule a VIP tour) and the stadium is your oyster. Walking in, the HD video board is the first thing to blow you away. At one time it was the largest video display board in the world, but now it’s not even the largest in Texas (Texas Motor Speedway claimed that distinction with their “Big Hoss” TV). Continuing down to get closer to the field, I thought for sure only VIP guests would be allowed to run around on the field. Wrong! You’re free to walk, play, run and tackle just like your heroes do on Sunday. 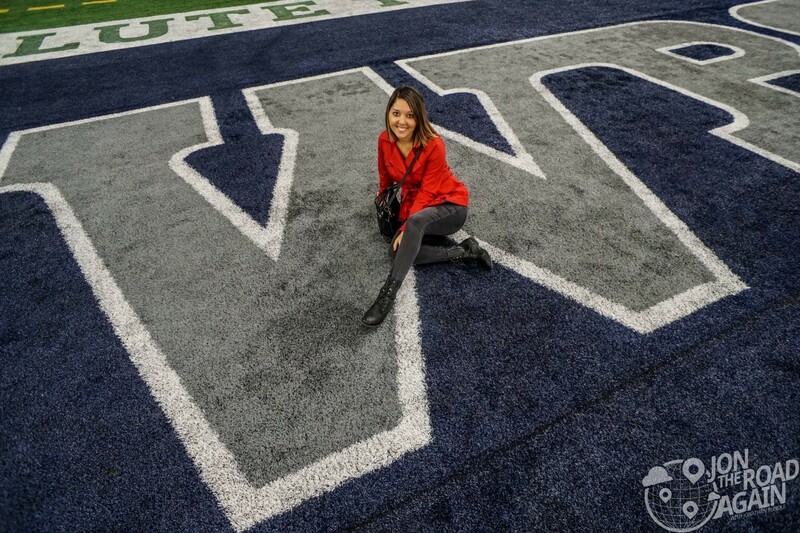 Whitney took the opportunity to pose with the big “W” in the end zone. Rally Days are the day before a home game. 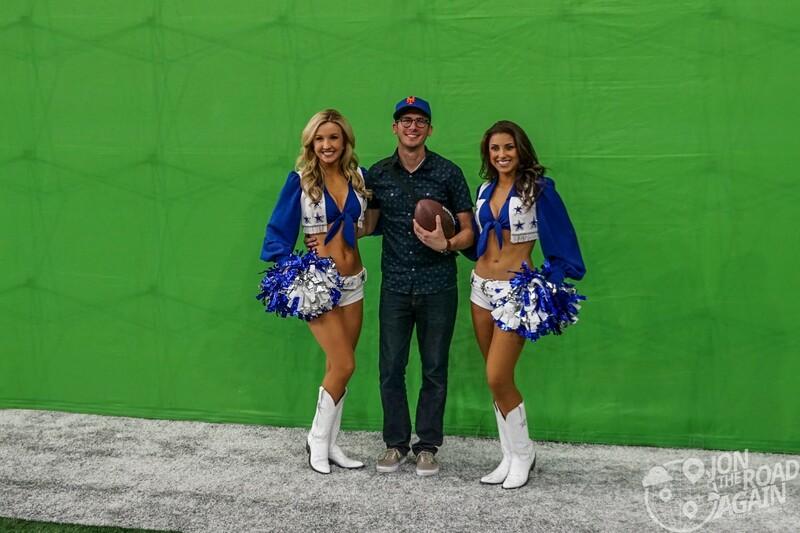 Rally Days feature games, autograph sessions with Cowboy alumni (like Jay Novacek, who we spotted) and appearances by the famous Dallas Cowboys cheerleaders. 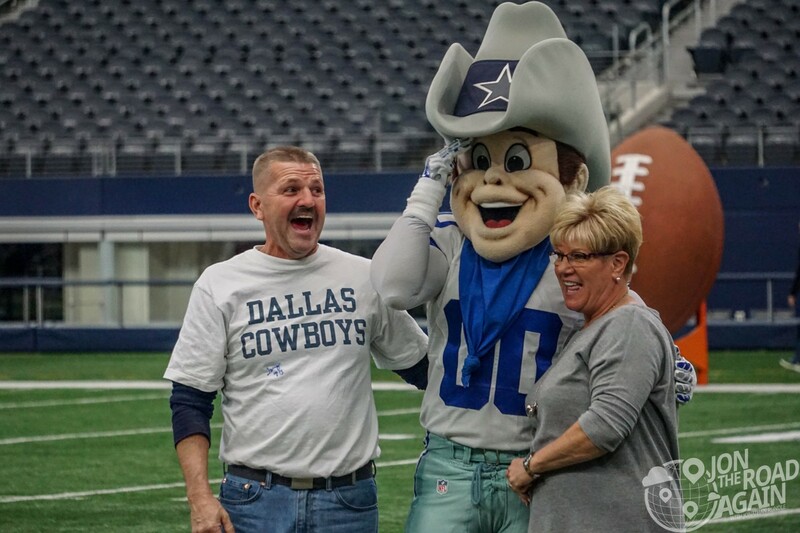 Get your photo with “Rowdy” the mascot or try to kick a field goal. This guy was pretty excited! Moving on from the field, you’re free to roam into the Cowboys Press Conference room and stand behind the podium for a photo. 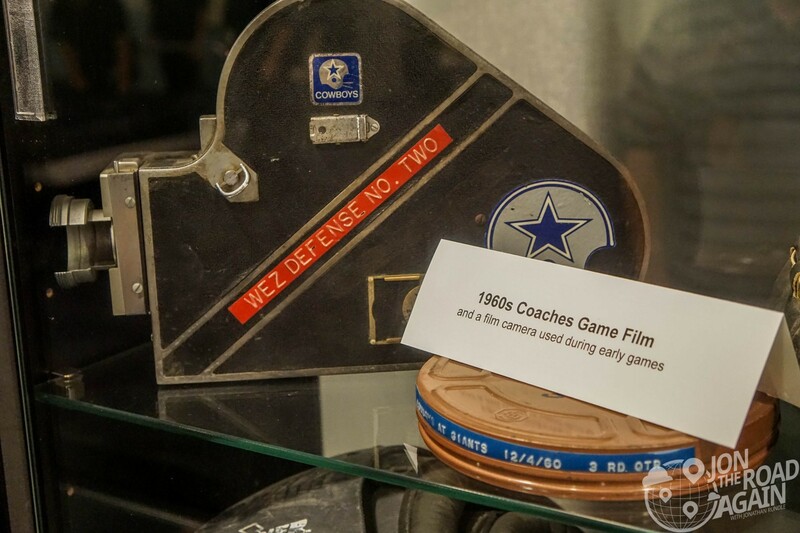 Throughout the room some memorabilia from years past will catch your eye including game film from the 1960’s and one of coach Tom Landry’s sideline play cards. 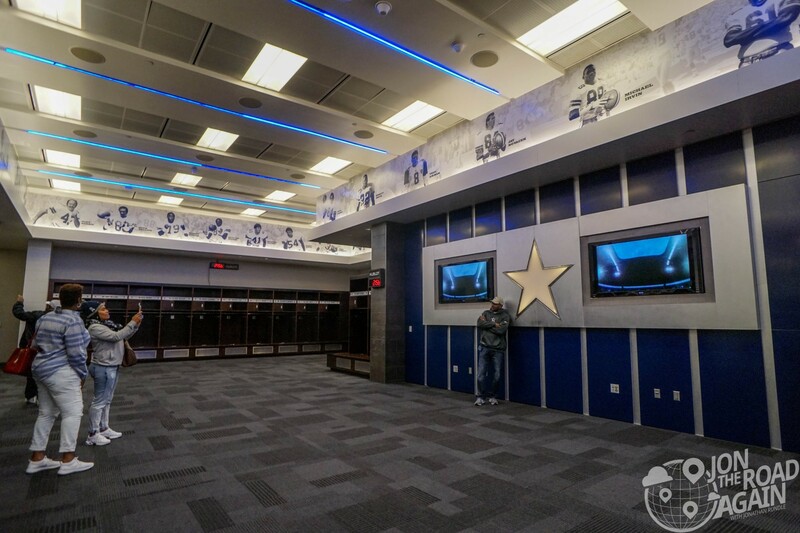 Next up, we head to the Cowboys Locker Room to see where the players hang out and take photos beside their lockers, if that’s your thing. Now imagine yourself sprinting out of said locker room, under the illuminated Cowboys star and into the adoration of 70,000 screaming fans. Okay, so I’m not a Cowboys fan, but still you have to marvel at the success the team has had – and the empire they’ve built. 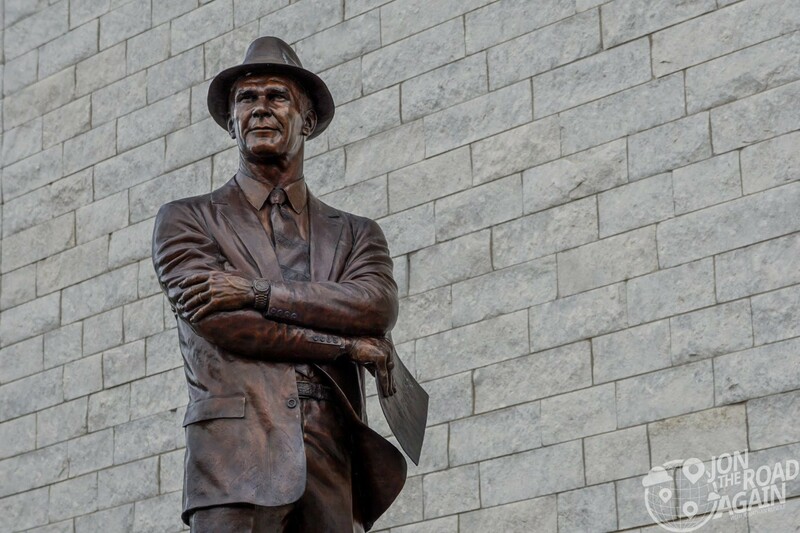 It all started with the man cast in bronze outside of the stadium – Tom Landry. 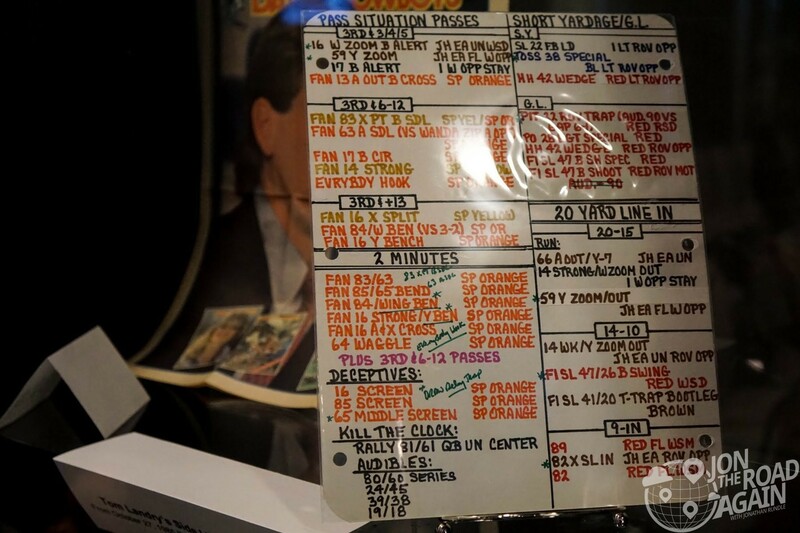 His teams set the standard for success that the Jerry Jones era has continued. Rally Day is the best time to come to the stadium. We didn’t plan ahead, but you can buy tickets online if you’re worried about availability. If you want a guided tour, I do suggest planning ahead for that. They were sold out for the day when we arrived.